USA fights more and more nowadays against the obesity epidemy and the results obtained are more visible every passing day. Some days ago, researchers infromed that, during the last 10 years, the obesity incidente in children from two to five years old had decrease a 43% in the country, constituting a milestone in history; this thurday, the White House and its Food and Drug Administration (FDA) announced that, for the first time in two centuries, nutrition facts will be more accurate and closer to reality. 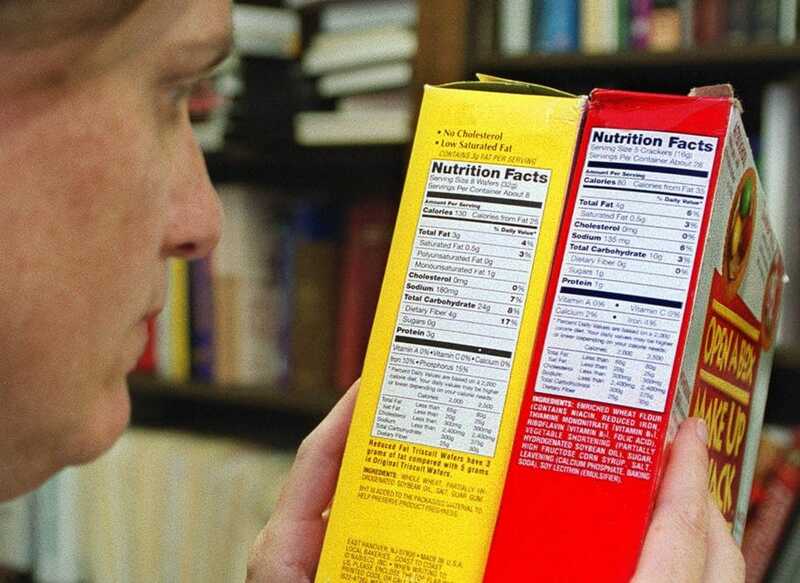 Michelle Obama, the first lady, along with Kathleen Sebelius, the Health Secretary, and Margaret Hamburg, the FDA comissionate, have proposed a new revision on the food nutrition facts, which affects to more than 700,000 products and whose last modification was made 20 years ago. The announcement corresponds to the fourth anniversary of the Let’s Move campaing that teaches parents and children to have a healthy diet and a routine exercise. The First Lady has announced in a statement that their objective on that regard is really easy: ‘we believe that every American, consumer or parent, should be able to get in a shop, pick up a product, and know if it’s good for their family’s health’, said Michelle Obama. ‘These changes will make a difference for every citizen all around USA’. The updates affect on the calories count, the number of portions and the quantity of added sugars. Regarding the latter, the most innovative change decided by the FDA is based on a study that concluded that calory consumption coming from sugar was really high in the USA. Considering the number of portions of a product, a fact that have not changed since 1984, the authorities have informed that the portions will have to be based on what the consumers ‘actually eat’ and not on what they ‘could eat’. Lastly, along with the calories count, the label will tell if the product ‘should be eaten at once or in several intakes’. Hamburg said on the same statement that the consumer has been long recurring to the nutritional information to choose more healthily. So as to maintain that relevance, the FDA incorporates to the labelling the last scientific advances in nutrition. The connection between our food and the chronical illnesess suffered by millions of Americans are more and more evident. In America, someone is considered overweight if he has 30 or higher body mass index (based on height and weight and it does not differenciate between muscular or fat mass). The obesity, according to scientific studies, can lead to type II diabetes, cardiovascular diseases, liver problems, degenerative disorders and even cancer. This fight is a need. In June 2013, the AMA (American Medical Association), which is the most numerous doctor association in USA, officially acknowledged for the first time that obesity was an disease. This was a step that forced doctors to be more committed to this condition and insurance company to cover its treatment. In USA, more than 78 million adults and 12 million children suffer from obesity. The proposal is open to comments for 90 days and will take months for it to come into force. The FDA has given companies two years to apply these changes. It is not clear yet how the food industry will react in the USA. Health professionals have applauded the measure. According to food commissionate, Michael Taylor, these changes would cost around 2,000 million dollars, although they would also create health benefits worth more than 30,000 million dollars, as The New York Times informs.